Our artistic talent combined with exceptional workmanship enables us to assemble fine pieces that you will be proud to display. There are diverse styles represented and a wide variety of objects made for every room of the house, even some unique cabinets for the kitchen. Whether it's the accent pieces featuring our distinctive marquetry or larger furniture sets, we hope the work reflects a passionate pursuit of our craft. At our wood shop we build and create customer specific generational furniture from our salvaged and imported slabs and lumber. Our furniture becomes the focal point of any setting. We are a family owned and operated business providing only the best and most sought after furniture. We stock a huge assortment of local and exotic lumber. At our show room you can pick from rustic and dimensional pieces. You won’t find better selection and prices for rustic natural edge slabs and lumber. You can create original furniture by choosing each board and arranging a grain pattern that compliments your style. Our lumberyard has a sawmill to custom cut slabs and reclaimed beams to your dimensions. We carefully select and age the wood to ensure consistent beauty and quality. During the rest of year we sell our products at a variety of seasonal markets. We then deliver and set up your new works of art for you. This fine furniture will become family heirlooms and last generations. The hardwood furniture you select will grace your home for generations to come. These custom built cabinets come in any style and are built to your taste. We offer cabinets in many different hardwoods. We can also arrange for the removal of your old kitchen. All pieces are made with select wood species and branded with the builders brand to show their commitment to stand behind their products. We offer you a total of three different woodworking shops. We will come to your home to help you look at customization options, measure and assess the placement for your pieces and give you your quote. We will then contact our builders and make sure all your desires are met. In a few weeks we will be back with your delivery and set up your new heirloom furniture. If you are sure about your choice, you can complete your order over the phone without a home visit. Get inspired to update a room or space with our collection of home décor accessories. From our hand turned wood candlesticks, to storage solutions, define your space and style your way. Our kitchen goods are functional and stylish. We have a wide range of items from country vintage décor to industrial style décor. Our handmade cutting boards provide a functional focal point for your kitchen. Use our kitchen compilation to create the perfect kitchen to suit your style. We love the way a piece of furniture can change a space, define a room, or become a place where memories are made. Our creative process is thoughtful and the same care and passion goes into every piece, small or large. 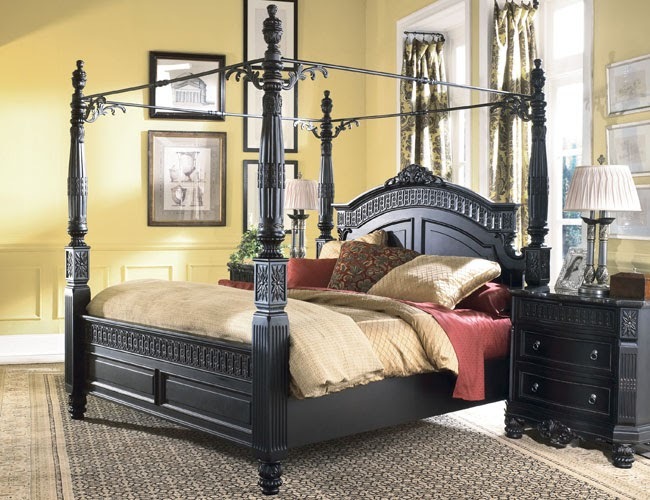 Our dream is to help you find and create the perfect piece for your home. Custom sizes, colours, and materials are available, and we would love to help you find the perfect piece. Please note that due to the fluctuating cost of wood materials it is necessary for us to price most furniture at the time that you request a quote. The mark of true woodworking has always been the longevity of the piece. Each piece of furniture is built using only the finest woods and hardware. Jerome kept in touch to let us know when we could expect delivery. The tables are beautiful, solid yet elegant. We plan to make future purchases as this company stands behind its products. As alway, customer service was excellent. Dave really makes an effort to ensure customers are happy with their purchases. These furniture pieces will be family heirlooms that will stand the test of time. Dave and his son did an absolutely great job helping me find the desk/ office set i was looking for. They were able to customize everything on the furniture from the wood, color, and all the features and minor changes that i wanted. We needed a dining table for our new home. Dave was personable and sincere and helped us work through several options to arrive at what we ordered. Our new dining table and chairs are spectacular - we're thrilled. We purchased a coffee table, end table, sofa table and we have nesting tables on order. He not only set them up, but we were very pleasantly surprised when he also put felt pads on the tables so that they would not damage the hardwood floor. Our collections can be customized to fulfill your specific needs. The cracks, knots, nail holes and other vestiges of the reclaimed wood’s former life are a celebration of authenticity that imparts the table timeworn character. Recreating the simplicity and functionality emblematic of harvest tables with thin slats forming the top, this table is artisan-crafted with carefully hand-selected planks that impart timeless imperfect beauty. Each piece is carefully sealed with a long-lasting varnish. In a play of perpendicular lines, the metal frame supports a clean-edged top made from rustic reclaimed wood, a richly nuanced material that lends striking visual depth. The high-quality varnish is carefully applied to ensure the surface is sealed and durable. It can even provide you a hidden working station in your dining room! Message us to see what we can do for you! Mix, match and smile with these sophisticated yet whimsical knobs, and let your entire room tell a story. These modern glass cabinet knobs and pulls combine warm and cool with every rippling touch. Classic shapes and colors with an unexpected feel. Lots of nice detail to this unique doll house. Has three large built-in storage drawers at the base for dolls and. Youll marvel at how shifting room light plays with the color at the core of these contemporary glass knobs. Made from knotty pine, each table is sanded smooth for the perfect finish. I like to work with hardwoods, softwoods and rustic/reclaimed. Barrels range from 650-800, kitchen tables 800 and up, coffee tables and sets,. From start to finish, we have been most impressed with the service and products we've received. We have custom built live-edge wood, finished to match almost perfectly the other wood elements of our room, and our bar top fits pefectly in an unusual space. We look forward to sharing many meals with family and friends around this beautiful dinner table in the years to come. Everybody who visits my place always comments on how cool they look. They really are a bunch of talented folks who do a great job. Thanks again for your fine attention to detail! Everyone that comes to our house adores them!